Bob Porter is Artistic Director of the Brandenburgs. 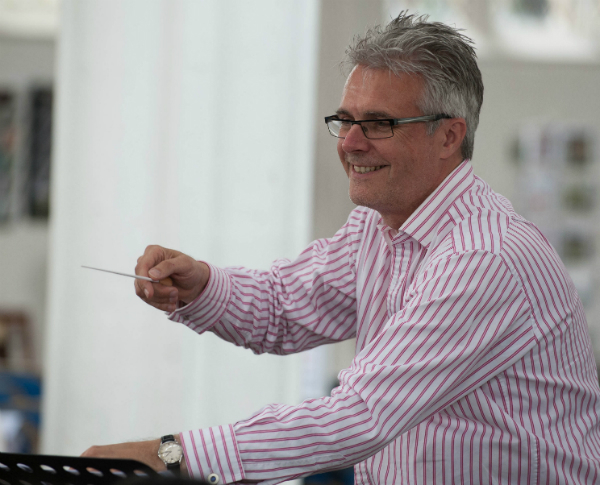 Bassoonist and conductor, he founded the Brandenburg orchestras and created the Brandenburg Choral Festival - now the biggest annual choral festival in the UK. Robert (Bob) Porter began studying the bassoon aged 11 and at 14 was accepted as a Junior Exhibitioner at the Royal Academy of Music. Two years later, after playing with the National Youth Orchestra, he decided to give up all thoughts of a future in maths, and instead began a career which now encompasses Musician, Conductor, Teacher, Concert Promoter and Artistic Director. After studying at the Guildhall School of Music and Drama Bob worked as a musician and teacher, returning to Guildhall to teach in the Junior Department from its inception and becoming Head of Wind and Percussion in 1985 - a position he still holds today. As a performer he plays regularly with the London Mozart Players and has worked with every major professional orchestra in London. In the early 1980s Bob founded the Brandenburg Sinfonia, the first of a group of orchestras under his artistic direction, which now also includes the Brandenburg Brass and Brandenburg Baroque Soloists. Playing regularly both in this country and abroad, one residency, at St Martin-in-the-Fields gave him the idea for a Choral Festival based around some of the most beautiful churches in London. Starting in 2010 with six concerts at St Martins, the Brandenburg Choral Festival is now the largest and most significant Choral Festival in the country. This year the Festival boasted more than 70 choirs in 67 concerts, covering the standard masterpieces of the choral repertoire along with jazz, barbershop and gospel, also making it one of the most varied and inclusive Choral Festivals! In 1991 Bob was made a Freeman of the City of London for services to music - an honour which allows him to drive a flock of sheep over London Bridge - something he fully intends to do one of these days. In his spare time he is passionate about cricket, red wine and jazz, although not necessarily in that order!